Natural Child ready ‘Okey Dokey’ (listen to 2 songs), cancel fall tour. 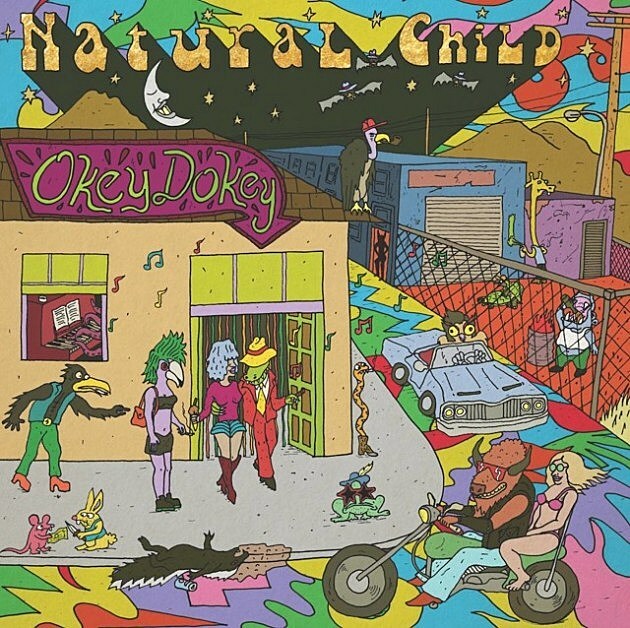 Nashville riff rockers Natural Child are getting ready to release their new album Okey Dokey on September 16 via their own Natural Child records. While you wait for that you can check out two mellow, ’70s-style summer jams — “Sure is Nice” and “Now and Then” — below. They’ve also announced tour dates behind the new album for October and November. As art of that run they’ll be in NYC for a show at Market Hotel on November 10. UPDATE: This show was moved to Studio at Webster Hall and then this and the whole tour got canceled. Natural Child reissued their debut LP earlier this year, and are featured in Ebru Yildiz’s new photo book of the final days of Death by Audio. All dates are listed, along with those song streams, below.